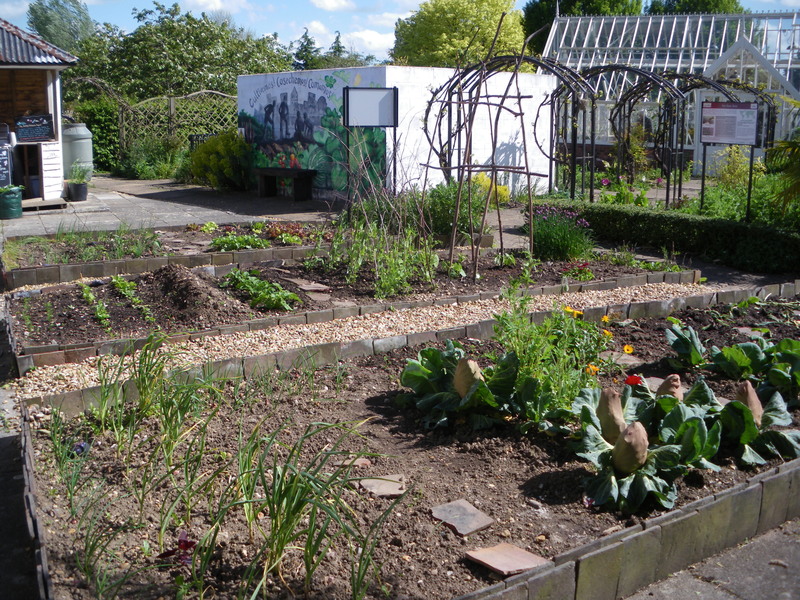 The Growing Enterprise garden at Ryton Organic Gardens is really beginning to come to life. 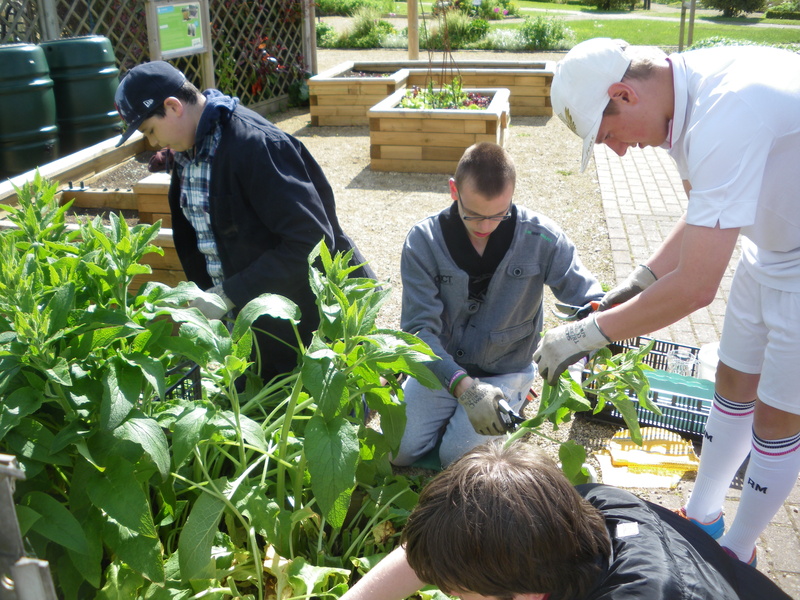 Students this month have enjoyed building frames for peas and climbing beans and have begun to plant our organic vegetable plants which they have raised from seed in the greenhouse. 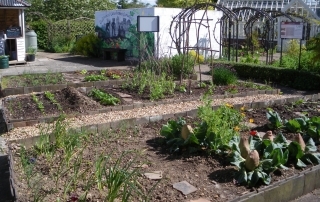 Hard work has been done to prepare the growing beds by adding our homemade garden compost and some of the plants have even had an extra boost of comfrey leaves into their planting holes! Our new raised beds, providing easier access to the growing vegetables for students, are also beginning to fill up with our ever popular cut and come again salad crops. We were harvesting winter salad leaves and pea shoots right up to the beginning of this month and the summer leaves are almost ready to be our next enterprise. Sales of spare herb, comfrey and tomato seedlings from our pop up stall outside Garden Organic’s main reception are also proving incredibly popular with visitors. With all of our lovely vegetables on the way, one of the groups this week have learnt how to make liquid plant food from comfrey and nettles to keep our crops healthy and well fed as they grow.